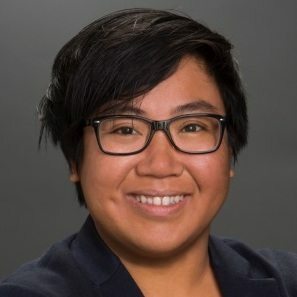 Krystal Banzon is a Manager of NBC Entertainment Diversity Initiatives - Writers On The Verge, The Directing Fellowship, The Late Night Writers Workshop, Diversity Scene Showcase, and the NBCU Short Film Festival. She is also a mentee in the 2017-18 CBS Writers Mentoring Program. She graduated with a BA in Government and Women’s Studies from Smith College, and an MPS in Interactive Telecommunications, focusing on storytelling, performance, and technology/new media from the NYU Tisch School of the Arts. She was a Fulbright Scholar to the Philippines in theater arts, an SDC Observer to Chay Yew at Playwrights Horizons, an LGBT Point Foundation Scholar for theatrical directing, and an Old Vic New Voices TS Eliot US/UK Exchange director. Krystal was on the opening plenary panel of the 3rd National Asian American Theater Festival, “New Directions to Explore, Discover, Initiate," with Lucy Burns, Velina Hasu Houston, and Cheryl Ikemiya. She is one of the founding board members of Art2Action, an artist collective dedicated to innovative new work, creative community-based performances, and progressive cultural organizing.